This morning's red post collection includes a heads up that Darius, Garen, Mordekaiser, and Skarner have all been added to the champion update schedule, Riot Rayven on several HUD changes coming in patch 5.15, a reminder that Gangplank is still dead, and more! 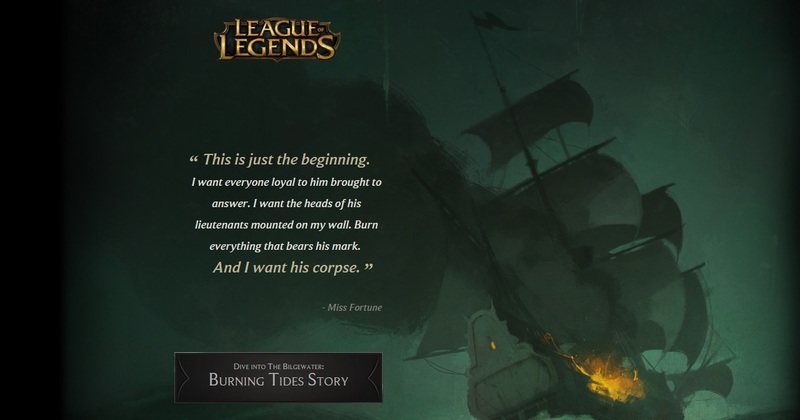 Red Post Collection: Gangplank is dead, MF Lore Update, Captain Fortune now available, & more! Darius, Garen, Mordekaiser, and Skarner have all been added to Riot's champion update schedule and each is listed as being up for a gameplay update. Garen's probably the lowest scope project on that list, with the addition of a new mechanic to his kit and some noticeable power curve tuning as key elements for him. Somewhat larger gameplay changes than MF, significantly smaller than GP. Changes to Garen are very much being developed with the item changes in mind. Very with you on the value of distinct benefits for bringing a particular champion to a team. We've got something else in mind for Garen though that doesn't overlap with other objective controllers (ult on monsters would give a very Cho/Nunu sort of feel)." i dont think theyll touch that part. they only removed the silence on champions where it was more or less inavoidable. you couldnt avoid kass from blinking in, and hitting you with it, then retreat before it runs out. same for leblanc. this created a lane pattern where theyd poke you down without giving you the ability to do anything against it. removing the one off talon is debatable, but a similar problem. you couldnt do much against him hovering with the cusor over you and hitting e from a distance. and then he could unleash his chain on you while youre disabled. with garen, its as simple as to just not let him come close while his sword glows. That's pretty accurate as to our thinking on silences (can be a good fit on champs where there are things you can do to avoid the silence, generally not appropriate on characters who have the tools to silence you with really high reliability). Garen's keeping his silence as a result, for while it's click to hit it's also a melee ability and he doesn't have a dash/jump/blink." i hope the fact that he suddenly appeared at the top of the list is an indicator to that the changes are overall very minor and easy to do. whereas poppy is much more difficult to rework. specially since its coupled with a vu. Yup, Poppy's a full relaunch (Sion level of changes in terms of gameplay, visuals, audio etc). The four champs added to the update list today by contrast are all smaller projects with a gameplay focus." Skarner has been added to the champion update schedule. Do you know why? I don't believe he needs another rework, his kit is solid and really strong right now, just a little overlooked. His kit is on par with champions like shyvana, volibear and udyr. Please answer! For several of the champions we are updating now, we want to make sure they bring something to a team besides passive stats. We think the champions you mentioned all have that problem as well." After being updated in 5.14, several changes are coming to the HUD in the upcoming 5.15 patch as long as being enabled in ranked queues! "After two weeks on live servers, we’ve made a bunch of changes to the HUD update based on player feedback ahead of pushing it out to ranked queues alongside patch 5.15. Check out the microsite for the full story behind where it all started, but if you’re familiar with the changes made before it went live, and just want to know what’s changed since the new HUD came to non-ranked queues, then read on. We’d promised to add the update to ranked in a few days in our last post, but we took a little extra time to incorporate the changes you read above. Now we’re ready to roll out the HUD for all queues, and we wanted to thank everyone for their feedback. As with any element of League, we’ll keep iterating and evolving the HUD in the future, so we’re still looking for your thoughts. 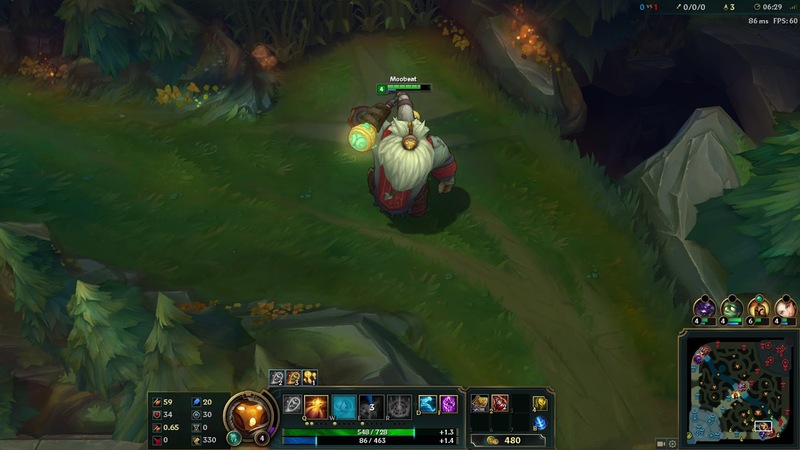 Tell us what you think about the newest changes to the HUD below, and we’ll see you on the Rift." Riot Rayven shared the same list of what has been changed based on player feedback for the next patch over on reddit. "Many of us liked it there too, but it proved to be the hardest change for folks to adjust to even internally. That said, we are considering an option to choose its position in the future." "We're looking into having a few meaningful presets available near term (think mini-map flip). There's enough people that like this and the design makes sense so its in the running as an option." "Moving items in the shop isn't part of this update, but it is a known painpoint that we want to tackle at some point down the road." "HUD scaling has been adjusted on large and small ends for 5.15. Should be able to go smaller and bigger than what's currently on live." Here's MicroBr3w with an update on general improvements that have went out to EUW and EUNE through July, as well as more that is being done in the future! TL;DR: There have been connectivity (including drophack) issues in EU for the last few months. We have recently implemented some improvements, and we have some additional improvements in progress. 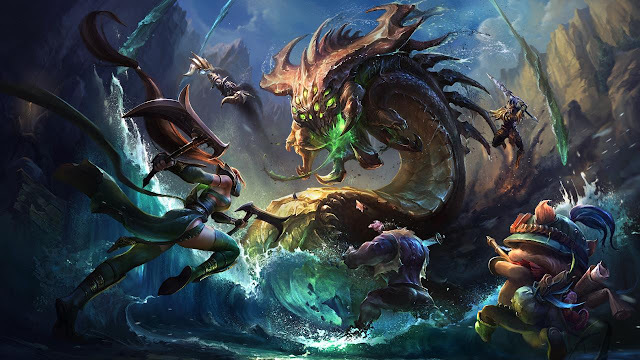 Rioters from both EU and NA offices have been working closely together to identify specific issues and design solutions to protect your connections to LoL game servers. Because much of what we have implemented involves security measures, we won't go too deep into specifics. The Bad Guys™ read these boards as well, and we don't want to give them any hints on how to be more annoying. Tighter restrictions on network traffic able to reach Riot infrastructure. This is where, unfortunately, we must be vague. Just know that these restrictions provide more protection against drophacks and the random disconnects you might have experienced previously. Server-side code optimizations have resulted in lower average load of game server processes. Not only is this just a good thing to do for energy conservation efforts, it also provides more capacity headroom to absorb malicious burdens, such as denial-of-service attacks. Improved infrastructure monitoring. A common thread here at Riot is "If you don't know about it, you can't fix it". In this case, we have improved our visibility into server, network, and inter-connectivity metrics. This, in turn, allows us to dig deeper and find issues affecting smaller groups of players. Riot Direct. The exercise of building out a network across a multi-country continent is an exciting challenge. The team has been working hard negotiating locations and facilities, configuring equipment, and establishing ISP connectivity. We're getting close to lighting up those links for LoL players, carrying all of that important network traffic across an infrastructure specifically designed for resiliency and low-latency. Continued investment in security technologies. Riot teams of client, server, security, and infrastructure engineers have been busy writing up roadmaps and testing hardware/software for security improvements. Capital investments are prepared for further distribution of our security protections. So there is a brief summary of some things Riot has been working on to improve the EU play experience of LoL. We have seen definite improvements in connectivity with the implemented measures, and we are driving to further improve with the upcoming changes. We are very committed to providing an awesome gaming experience. Thank you for playing LoL and sharing our passion for this great community of players!" Enchantment: Teleport, a unique boot enchantment found only in the Black Market Brawlers featured game mode has been temporarily disabled due to a bug! "Heya guys, we've had to temporarily disable the "Boot Enchant: Teleport" from the Black Market Brawlers featured game mode due to a bug. We're working on a fix and will have them back up as soon as we can. <3"
Speaking of Black Market Brawlers, don't forget to check out the Gangsters Against Nice Kids vs International Kraken Society show match on July 31st! Rioters and former pro players will square off in our latest featured gamemode starting at 12:00 PM PDT // 20:00 CEST! More information available here. 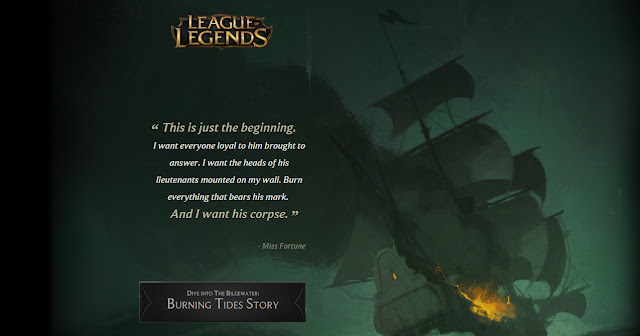 Following the events of Bilgewater: Burning Tides ACT THREE, Gangplank is still dead and remains disabled in all queues. "This is just the beginning. I want everyone loyal to him brought to answer. I want the heads of his lieutnants mounted on my wall. Burn everything that bears his mark. And I want his corpse. " - Miss Fortune. 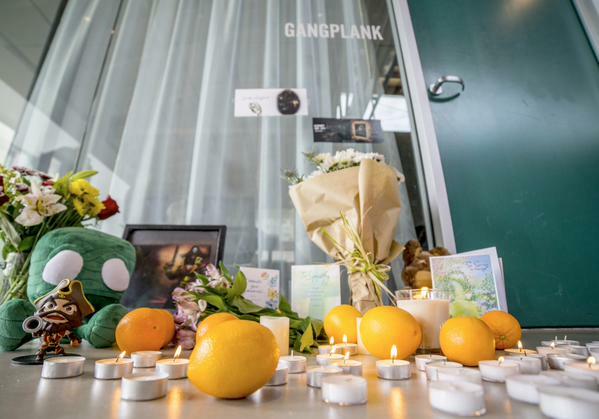 "Riot's impromptu Gangplank memorial at Riot HQ. #Bilgewater #LeagueOfLegends"